Have you ever filled a Tupperware container too full, but tried to put the lid on it anyways? The food squishes out under the lid and gets all over your hands, the counter, just everywhere. It’s a mess. That’s right, today we’re talking about the mighty sasquatch! Well, everything that exists is that overfull Tupperware. And the lid, struggling to close over all of that is your every day, waking world. And well, when the Flip spills out into the mundane world, we end up with things like “Bigfoot,” “The Loch Ness Monster,” and all manner of boogeymen creatures. While these creatures do exist, the mythology behind them seems to be very skewed. 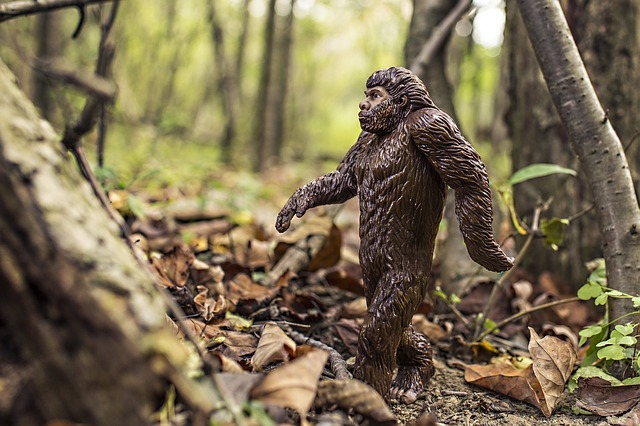 “Bigfoot,” the supposed missing link between man and ape, isn’t some strange genetic throwback, but rather a cast-off, a divergent branch of our evolution. Quite sociable, they aren’t recluses, they strive to integrate themselves into normal human society in various ways. Hippie communes, naturalist communities, even the Burning Man Festival are all ways various sasquatch have attempted to connect with a species they see as their cousins. They are non-violent, despite all appearances, they are omnivores, rather than being carnivores like many believe. And while they recognize the advantages of veganism, they’re just tired of hearing about it. Why the secrecy? Well, there really isn’t. Everyone knows about “Bigfoot.” But the reasons for living secluded from so much of humanity it quite simple. When every doorway is a foot too short for you, when shoes in your size are almost impossible to come by, when every car seat is too close to the dashboard, you realize that the human world isn’t built for you. Wide open spaces are preferable to the cramped living conditions we as humans put ourselves into every day. Would you like to know more about the recent sightings of families of sasquatches in California? We’re sending our resident hippie intern (I suspect they’re selling pot to the other interns) out to California to meet and interview “Bigfoot.” Stay tuned for more information as it becomes available.